Creating a frame with Spellbinders can give you the most beautiful effect on your cards and then how you fill that frame is up to you. You can be as adventurous as you wish and there are lots of ideas for you to try. 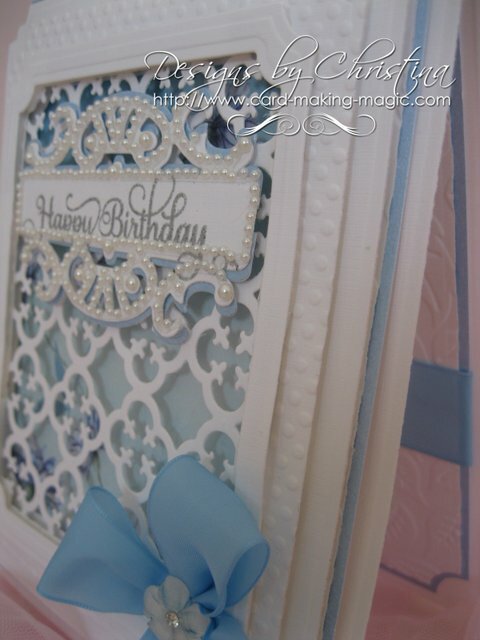 Add photos, embossed card or some lovely papers that you have in your "Stash"
This lovely card has been created with Spellbinders Grand Large Labels and the Quatrefoil Pattern die and the effect is stunning for a special card. There are lots of layers involved to get the depth to the card, but the time and effort used to create this is so worth it when you see the finished result. The video will show you how to get the layers and the different sizes need for the frames ... and you can do this with any of the labels dies that you may have in your collection. This photo clearly shows you the layers involved and a little glimpse of the inside. Making this design will take a lot of extra card and so if you make your cards to sell then this needs to be costed into your budget. But the result is lovely and one you will not be disappointed with once you have completed the look. 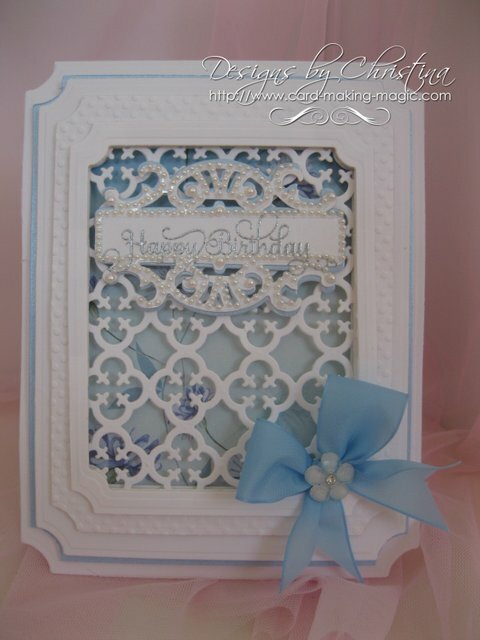 This idea would look pretty of you omitted the Quatrefoil Pattern and added a photo instead. Maybe one of your children to give to their Grand parents ... or one of your self for your partner to cherish. A new babys' Photo to tell people of his/her arrival. But anyway that you dress this card will can only add to the look.